Guy Theodore Sebastian (born 26 October 1981) is an Australian pop, R&B, and soul singer-songwriter who was the first winner of Australian Idol in 2003. He is currently a judge on the Australian version of The X Factor. Sebastian has released six top ten platinum/multi platinum albums, including a number-one and number-two. He has also released ten top 15 singles, with seven reaching the top ten, including five number-ones. He is the only Australian male artist in Australian music history to achieve five number-one singles, and is equal third overall for all Australian acts. He is also the only Australian act to have three singles reach at least triple platinum. "Angels Brought Me Here" and "Who's That Girl" both reached 4× platinum and in 2010 ARIA named "Angels Brought Me Here" the highest selling song of the last decade. "Like it Like That" achieved 3× platinum. With 26 platinum and two gold accreditations and combined album and single sales of over two million in Australia alone, Sebastian has the highest accreditations and sales of any Australian Idol contestant. Sebastian also reached number-one in four Asian countries and New Zealand with "Angels Brought Me Here". He had a second number-one single in New Zealand with "Who's That Girl", two other top ten singles and a number-three album, and has four platinum and two gold accreditations there. He has worked with a number of well-known American musicians. He co-wrote songs with Brian McKnight and Robin Thicke for his album Beautiful Life, which also included a duet with Mýa. The Memphis Album was recorded with members of the MGs including Steve Cropper, and they were his band on his 2008 Australian tour. Like It Like That has three tracks with John Mayer on guitar and backing vocals, and "Art of Love" featuring Jordin Sparks. "Who's That Girl" from his album Twenty Ten features US rapper Eve. 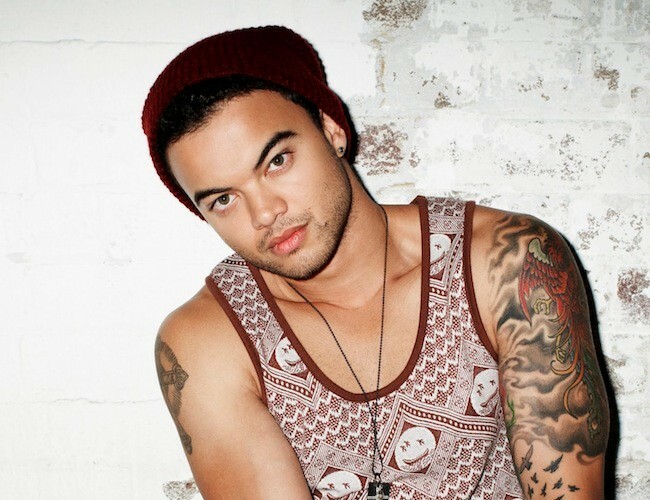 Chart wrap-up: Pink, Guy Sebastian and The Sapphires dominate! I went to see Guy in concert in Townsville!! It was bloody amazing! !